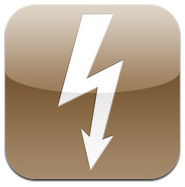 This app helps users compute the proper wire size for an electrical circuit given its voltage drop and current carrying capacity. It can also calculate the voltage drop for a specific conductor run. Note that when sizing conductors, calculations limit wire size to voltage drop and NEC ampacity. Comments on: "Southwire Voltage Drop Calculator "